South African Trade and Industry Minister Rob Davies announced plans to increase tariffs where there is scope for this on chicken imported from Brazil and other countries. Courtesy: Department of Trade and Industry. JOHANNESBURG, Jan 30 2013 (IPS) - South Africa has denied that it is taking a protectionist stance to protect its own producers against foreign competition, but says it is justified in boosting tariffs where this is allowed under international trade agreements. 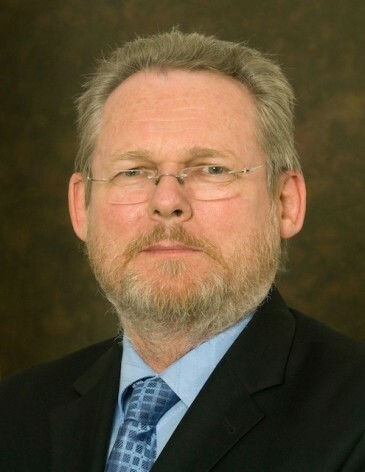 Trade and Industry Minister Rob Davies spoke to IPS in Pretoria about the current trade landscape and the challenges the country will face in 2013. He recently announced plans to increase tariffs where there is scope for this on chicken imported from Brazil and other countries, a move that was questioned by some South African trade experts, who had expected measures just against Brazil. Q: South Africa is to host the BRICS (Brazil, Russia, India and China) Summit in Durban in March, and you have been preparing for this through meetings with some other BRICS Trade Ministers at the World Economic Forum in Davos? What are the big issues on which you are focusing? A: There will be a World Trade Organization (WTO) ministerial meeting in Bali at the end of the year. A process is going on about a small package of issues for agreement at Bali, starting with trade facilitation, which will be easier for developed countries to meet. Many developing countries have resource issues. There is concern in the BRICS group that this is not self-balancing – many developing countries may have to take measures, but what are the benefits to them in other areas? There is also the Doha Round (a wide-ranging WTO negotiation which has been going on without conclusion for over a decade). The BRICS say the Doha mandate is still valid, while some forces see that agenda being surpassed by an agenda on trade facilitation. Q: Given the slow progress to date on the Doha Round, do you still see the WTO as relevant? A: Through the WTO, there is a set of rules which are in place which are very important, and which set the parameters for any member country. As the negotiation of the Doha Round remains a slow task, the (WTO’s) dispute mechanism is becoming rather over-loaded. I think there is an attempt to get developing countries to remove the space between their applied (actual) tariffs and bound rates (the higher tariffs which could be applied). The gap allows us space for implementing policy, and is something which was not in place in the 1930s. Q: You recently announced that instead of imposing targeted anti-dumping measures against chicken imports from Brazil, you would apply a general tariff increase which would mostly impact those countries which do not have a specific free trade agreement with South Africa. Why this approach? A: This is an issue which is covered by WTO rules and there are quite tight rules. We imposed provisional anti-dumping measures and then did an investigation. Brazil indicated they had concerns, which seemed enough for them to go to a (WTO) dispute settlement mechanism. We put a team in place to look at this. We were well aware the Brazilians were going to fight this all the way through, as they do not have any anti-dumping duties against their chicken exports and this could have become a precedent. Who knows if we would have won or not? We looked at the impact of the provisional duty (which South Africa imposed early in 2012 against chicken imports from Brazil). It was not that local production took the place of allegedly dumped Brazilian chicken. It was other imports (that filled the gap). The issue is imported chicken from all parts of the world. There is space to increase (the general tariff) and this will probably deliver better results for South Africa. 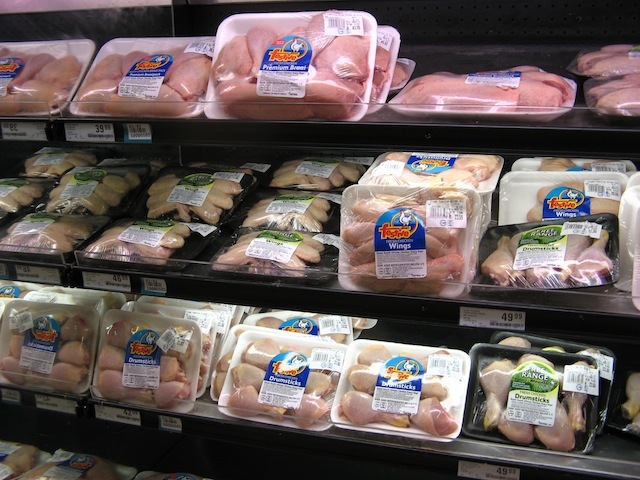 Q: Aside from the issue of Brazilian chicken, South African trade officials have said recently that tariffs may be increased on other imports. This is been interpreted as a move towards protectionism. How do you respond? A: What we are saying is common sense. We haven’t set zero tariffs for everything across the world. We say there are ceilings on tariffs, but we never said tariffs can’t increase. With the onset of the recession, there are calls that we should use that space (between actual tariffs and the ceiling). We say protectionism is when you act against the rules, because the rules govern the status quo. We haven’t seen a breaking of the rules, which has been a contribution to seeing that the crisis didn’t end in a great depression. We have seen a triple-dip recession in parts of the world – but that has little to do with tariffs. Q: South Africa is hosting the BRICS Summit at the end of March. What can we expect? A: This is the first time we will have hosted a BRICS Summit in Africa, and we are building a relationship between BRICS and Africa. Our ambition is to take the establishment of the BRICS Development Bank further forward. There will also be a Trade Ministers’ meeting, linked to a business forum. There will be the launch of a BRICS Business Council to strengthen inter-BRICS relations. There will also be a BRICS’ co-operatives meetings. We are starting to define a programme of inter-BRICS cooperation. We will use this as a platform for building cooperation with other countries, for example the African countries. The BRICS Development Bank isn’t just for the BRICS countries, but we also have an ambition to see it play a role in financing infrastructure in Africa, outside our borders. Q: There is an overlapping organisation to the BRICS, known as IBSA (India, Brazil, and South Africa). Does the BRICS grouping make this smaller grouping irrelevant? A: IBSA continues – there are some very important programmes. We have, for example, a strong set of co-operative agreements between small business agencies. These have been very valuable. The IBSA partnership was the basis on which we engaged in serious learning about industrial policy from Brazil, which was the basis of our own industrial policy action plan. This is not replicated in the BRICS.